There is no doubt that Sunless Seas is a brilliant game. But there are many who could argue that it is not a good game. Those two facts are not exactly contradictions, and understanding both of them is essential to getting the most out of the experience. 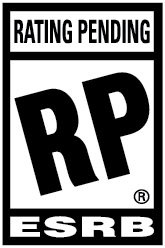 It’s a totally unique gaming experience, and as such, you have to sacrifice certain quality-of-life expectations. At least that seemed to be the case until Sunless Skies came along. The sequel is in many ways, the exact same game in a new world. As with many sequels though, small iterational improvements go a long way. Unlike most sequels, there’s the risk of throwing out too much of what made the original such a classic in the face of convention. Fortunately, Sunless Skies threads that needle. It threads it upside-down and backwards in dim light while looking in a mirror. Okay, so what kind of game is Sunless Skies? You are the captain of a locomotive exploring the dangerous High Wilderness. It’s like a Lovecraftian Star Trek game where space obeys Victorian-era theories. There is, for example, air in space. It’s not good air, but you only need a space suit if you plan to hang out outside the locomotive for prolonged periods of time, and there’s always the chance you get caught up in a gust of space wind as you explore the celestial spheres. But what do you do in Sunless Skies? The game is divided into two sections. One is what happens as you steer your locomotive. You fly through tunnels between the stars, trying not to bump into anything. There are monsters, pirates, and weirder things out there. You can equip your locomotive with various weapons, tools, and modifications to increase survivability as you fly from port to port. Once you arrive at a port, the game swaps to something more like a text-based adventure game. There are sparse illustrations, but most of the story is told through choose-you-own text adventure trees, skill checks, and hidden dice rolls. The heavy lifting is done by the game’s prose, which is so purple it practically becomes a colour out of space. Fortunately, the series has unique blend of horror, comedy, and weird that reads as a very stoned Neil Gaiman. Or a very maudlin Terry Pratchett. Or Douglas Adams doing his best Dickens impersonation. Those two games are very interconnected. Not only are you expected to trade between ports, your various stats and resources are mostly replenished through making good decisions in the adventure game. All of this unfolds in a very mysterious fashion, and you’ll eventually be asked to keep track of esoteric things with names like “a barrel of unseasoned hours,” “a gourd of Chorister Nectar,” “salon-stewed gossip,” and “a crimson promise.” Figuring out just what the hell those things mean and how to use them is a lot of the fun of the game, and you learn more through every playthrough. 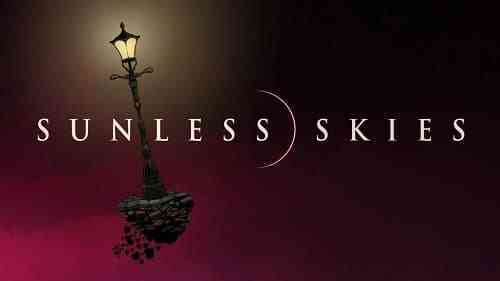 Because in another small sense, Sunless Skies is something of a roguelike. Unlike its predecessor, you are given the option to revive a Captain when one dies, but you can also create a legacy of commanders, passing on knowledge, wealth, and debts from captain to new captain. The changes don’t stop there. Sunless Sea was a game with a spartan graphical interface, but one that used confident aesthetics to make the most with what it had. 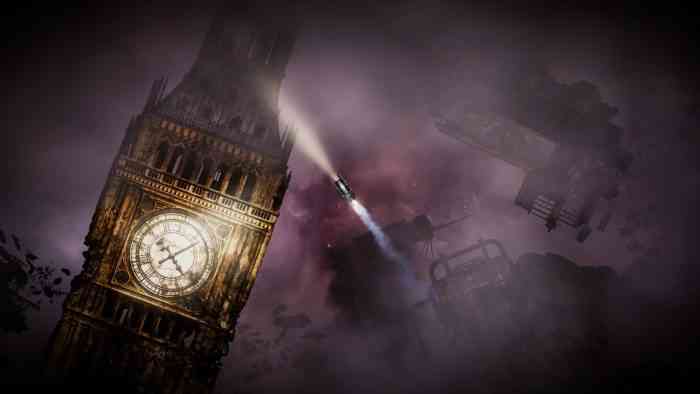 Sunless Skies takes advantage of a larger budget, and looks a lot better. This also makes the game a bit easier to play. I infrequently (but sometimes) found myself slowly chugging back to port after running out of food and fuel. More often I found myself exploding after hectic dogfights, or succumbing to madness after making a risky choice. Hard. Really really hard. Prepare to die.